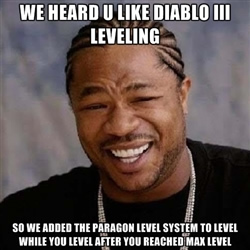 Paragon leveling, introduced in Patch 1.0.4, was Blizzard’s answer to those who criticized Diablo III’s lack of end-game content. It also addressed a common complaint regarding Magic Find (MF). See, up until that point, most players would swap in a second set of MF gear right before downing an Elite/Boss monster. The purpose of this was to obtain better loot. But the process proved arduous, and sometimes deadly. A re-imagining of the system seemed inevitable. Paragon leveling effectively solved this problem by providing players with 3% MF and Gold Find (GF) per level. Players would also gain 3 points towards their primary stat, 2 Vitality points, and 1 point of everything else for each ding. MF and GF were effectively capped at 300%, but with the inclusion of Monster Power in Patch 1.0.5, one could achieve as much as 625% MF with bonuses. Sounds good right? But what if I told you that the experience needed to reach Character level 60 is probably less than two percent of the total XP you’ll need to achieve Paragon level 100..? Sorry to be the harbinger of bad news, but Paragon leveling is a grindfest. The good news is you have the power to blow through all 100 levels in a fraction of the time it takes others, just by following a few pieces of simple advice. 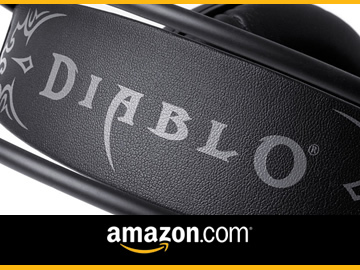 The only must have piece of gear you’ll need for Paragon leveling is the Hellfire Ring. In fact, you’ll want two of them – one for yourself and one for your Follower. 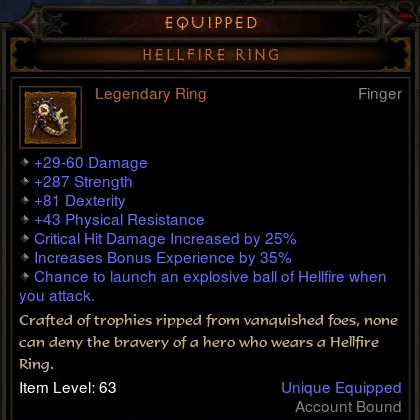 Whereas most ‘Bonus Experience’ gear severely gimps your DPS, a well rolled Hellfire Ring can actually boost your damage output. You needn’t be as picky when it comes to your Follower’s ring. Just choose the primary stat best suited for your Follower (i.e Intelligence for an Enchantress) and go with it. Just remember, the bonus experience from a Follower’s gear is nerfed by 80%. 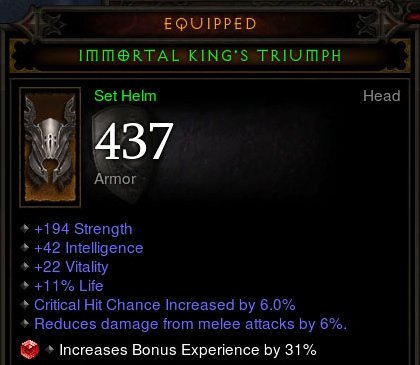 I’d also recommend that you socket your Helm with a Ruby. If you’re on a budget, a Star Ruby will do nicely. They’re only about 600k and provide an additional 25% bonus experience. For you rich guys, go for the Radiant Star Ruby (31%). It will cost you upwards of 20 million gold, but if you can afford it, why not? Be sure to toss a ruby in your helm for the experience bonus. Alright, so in order to use a Ruby you’ll be forced to take out your +Life % gem. If you find yourself dying in situations where you used to get by, I’d suggest bumping up the Vitality of your chest or leg armor. But, generally speaking, replacing one gem is not going to make much of a difference in your performance. 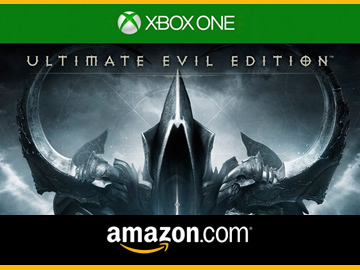 The only other piece of gear I’d even consider is Leoric’s Signet. Although it grants between 20-30% bonus experience, you’re liable to lose a ton of DPS, so be advised. 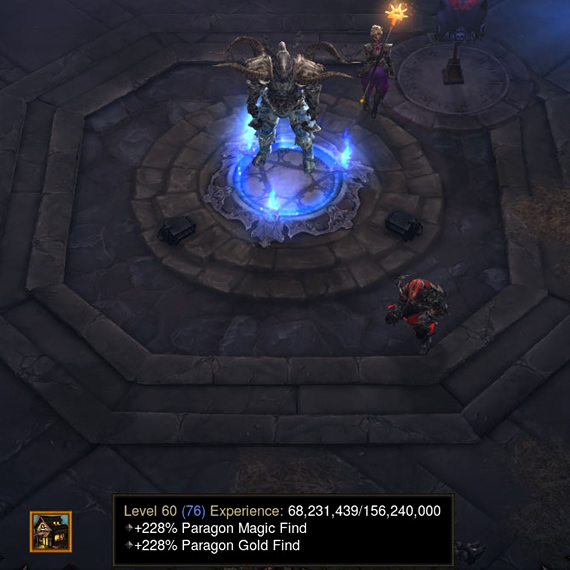 Leoric’s provides a nice experience bonus, but don’t use it if it causes your DPS to blow. Tip: As of Patch 1.0.5, if you were able to farm Monster Power (MP) X with a Leoric’s as efficiently as MPX + 1 without one, wearing one was always worth it. However, due to the MP experience buffs coming in Patch 1.0.7, only extremely powerful players should even consider using one. You’re better off giving it to one of your alts. The other bonus experience and +experience gear pieces will end up doing more harm than good. Skip them. What MP Should I Farm? Unlike Key and Uber Boss runs, where choosing higher MPs is more beneficial, you’re better off Paragon farming at lower MP levels. How low? Well, that depends. Most players will tell you that the best MP to farm is 0, but that’s a gross generalization. That doesn’t mean MP0 is inefficient, but it does mean that it’s not optimal for everyone. Tip: As a general rule, farm the highest MP where you can still one shot white mobs, and kill Elites in less than 10 seconds. Keep your MP low enough so that you can nuke normal mobs & drop elites in under 10 seconds. 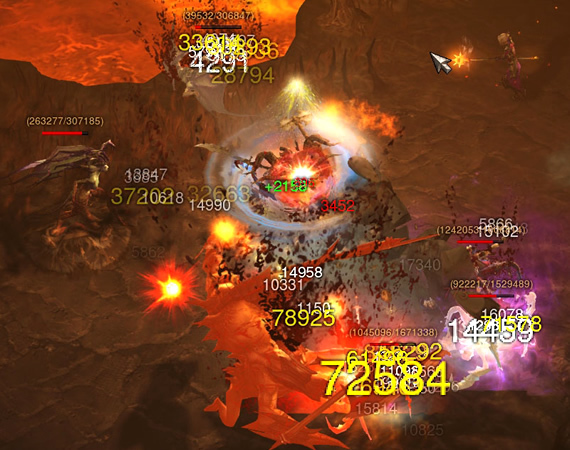 A Whirlwind Barb or Tempest Rush Monk sporting 200k DPS is going to be able to run right through mobs up to MP3. Thus, by only playing on MP0, these characters will lose the 45% bonus (80% post Patch 1.0.7) associated with farming on MP3. On the other hand, players with less than 100k DPS are probably going to be better off farming MP0 and MP1 until they gear up. In Patch 1.0.7 the bonus experience granted from Monster Power is going to be increased across the board. This is good news, especially for players who are capable of farming higher MPs. Now, before you get too excited and start thinking that MP10 is going to be efficient for farming, think again. A 510% bonus to experience is still not nearly enough to offset the over 3000% health increase monsters at this MP receive. What Loot Should I Pick Up? All Legendary items – Even if they’re crap, the price of Brimstones is quite high. Rare Rings, Amulets, Gloves, Pants, and perhaps Shoulders. You can skip the rest as almost everyone uses a Legendary item in the other slots. Daggers, Swords and maybe Mighty Weapons – These items occasionally roll properties that make them viable off-hand weapons. They’re also fast. Flawless Square Gems – Emeralds and Rubies especially. Tome of Secrets – This one is a bit of a stretch. If you’re in desperately short supply and they’re right in front of you, pick them up. Otherwise don’t bother. Nothing else is really worth picking up. Just be sure to slap on at least one piece of gear that increases your pickup radius. That way, at least you won’t miss out on gold. And never go back for gold drops that are under 2000. Paragon level farming is all about maximizing your efficiency. Some of the very best players have managed to pull upwards of 80 million experience per hour. Your initial goal shouldn’t be quite as lofty, maybe about 50 million, or up to 60 million when Patch 1.0.7 drops. Try for 50-60M experience per hour when farming Paragon levels. Feel free to experiment with different builds, gear setups and MP levels. Record your hourly experience rate until you find the set of conditions that works best for you. After all, from level 0 – 100 you’ll need to farm 11 billion experience points. It’s worth taking a few hours to find out what works best. I hope this guide has given you a few useful tips. Happy leveling! I used to be more than happy to find this web-site.I wished to thanks to your time for this wonderful learn!! I positively enjoying every little little bit of it and I have you bookmarked to take a look at new stuff you weblog post.